The appointments of a German to head Fiat Chrysler Automobiles’ European design operations and an American as Alfa Romeo’s exterior styling chief are the latest examples that Italians are playing a lesser role in the top design positions at the automaker. Klaus Busse, a German national, is returning to Europe from FCA in the U.S. to become head of design for FCA's Europe, Middle East and Africa region. Busse, previously head of interior design at Chrysler, replaces Roberto Giolito, an Italian who was the father of the revived Fiat 500. Also moving to FCA’s design center in Turin from the U.S. is Scott Kruger, who is Alfa Romeo’s new exterior design boss. Kruger’s previous post was chief designer for the Dodge and SRT brands. Both appointments mean sideways moves for the executives they replace. FCA announced the changes internally but has not issued a public statement. Giolito was moved shifted to head of design for the Fiat Professional light vans brand and also takes on the newly created role as head of FCA’s classic car collection. 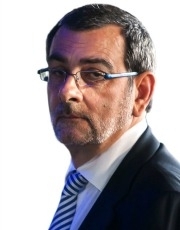 Kruger replaces Marco Tencone at Alfa Romeo. Tencone, an Italian, keeps responsibility for exterior design at the Maserati and Lancia brands. Under the direction of Tencone, Maserati launched the new Quattroporte and Ghibli sedan as well as the much-acclaimed Alfieri coupe concept. Roberto Giolito will head design for the Fiat Professional light vans brand and will oversee FCA's classic car collection. FCA’s global design chief is Canadian Ralph Gilles, who is based in FCA’s North American headquarters in Auburn Hills. 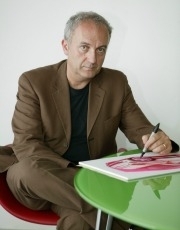 Gilles was appointed as FCA’s global design leader in April following the retirement of Italian Lorenzo Ramaciotti. FCA in Europe has also created a new interior design department that works for all its passenger car brands. Andreas Wuppinger, a German who was previously in charge of Fiat brand design, will lead the department. Rossella Guasco continues to head the color and trim department that does design work for all FCA brands.